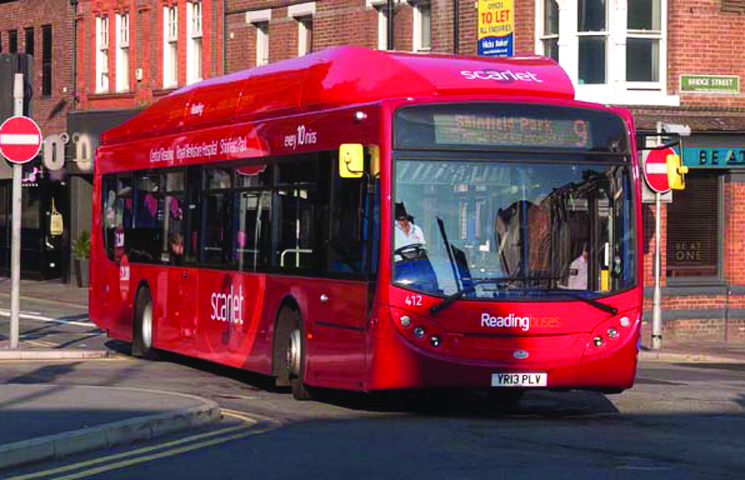 Reading Buses CEO, James Freeman, has said the 11 ADL bodied Scania gas buses in his fleet ‘have been operating faultlessly’ over the four months they have been in operation. They are being used on Reading Borough Council’s greenwave routes. It is three months since the rest of the 20 strong gas bus fleet were put into service on its scarlet 9 and bronze 11 routes. Within a few weeks, a gas compression station will be in operation, eliminating the company’s need for tankers to deliver the gas to fuel these vehicles.